Mother Nature can be a total show-off, and there’s no better place to witness her strutting her stuff than the outskirts of the Vegas valley. If you can peel yourself away from the casinos long enough, we highly recommend spending a few hours sweating out last night’s sins while taking in the jaw-dropping scenery. We’ve got some of the best hiking this side of the Mississippi (OK, that might be a little bit subjective but these hikes are really popular among the locals) and you don’t have to be a Crossfit guru to make the journey. You do have to bring way more water than you think you need and probably extras of everything else…just in case. A swirly Fire Wave in Nevada’s oldest state park. Photo courtesy of Vegas.com. 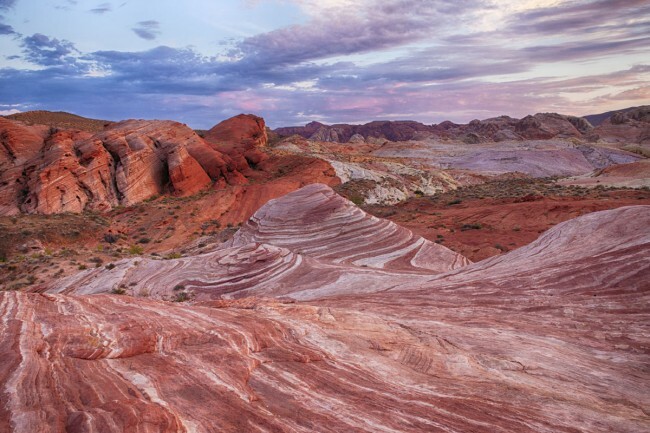 The Valley of Fire — dun, dun, duuun… sounds daunting right? Well, yes. It may not be the place you want to hang around at 3 p.m. on the hottest day of summer, but it’s an excellent place to find yourself during Vegas’ cooler months. Offering a variety of hikes for all skill levels, this is a stop that any adventurer will want to make. Our favorite Valley of Fire hiking trail? Atlatl Rock. Don’t worry, we had to ask Siri how to pronounce that too. Atlatl (pronounced aht-laht-l) Rock is a great hike for really anyone who enjoys outdoor activities. During the breezy one-mile hike, nature lovers will take in ancient petroglyphs, lightly scramble along fallen sandstone boulders and eventually reach the hike’s peak, which sits 200 feet above the trailhead’s parking lot starting point. We’ll tell you right now it’s worth the effort, but we strongly encourage you to see for yourself the breathtaking views of Lake Mead that this hike’s final destination has to offer. Strangely attractive couple who manage to hike without sweating. Photo courtesy of iStock. Hey, just because it’s alone doesn’t mean it’s lonely. As a matter of fact, Lone Mountain (that sits just outside of Las Vegas) always has a steady stream of visitors. Depending on your pace during this moderate hike, you could reach the peak in as little as 30 minutes or as many as two hours. The 2.2-mile climb is definitely uphill but it’s not exactly a battle. Since the trail has been well traveled, not only is it easy to navigate, but there’s not a whole lot of scrambling until you reach certain parts at the top, which is 3.5 km above the ground. However, the challenge is so worth it. Our favorite time to hike this trail is about an hour before sundown. By doing this, you are able to reach the peak with just enough time to see the lights of Sin City flicker on for the evening as the sun sets behind you in Red Rock Canyon. Suitable for youngsters, adults and even Fido, this is a great way to experience the Strip from a whole new vantage point. Insider tip: If you’re going to hike Lone Mountain to catch the sunset action, be sure to bring a flashlight or a headlamp for nighttime navigation. The desert’s very own grotto. Photo courtesy of Red Rock Canyon. The Strip isn’t the only place to see lots of green. Photo courtesy of Vegas.com. Just as pretty as it sounds, this moderately difficult trail starts in Mount Charleston/Kyle Canyon and ends with a waterfall that’s either flowing in the spring and summer or frozen over closer to the winter months. At three miles round trip, the hike is short but can also be pretty strenuous if you’re not used to the trail conditions or the altitude. 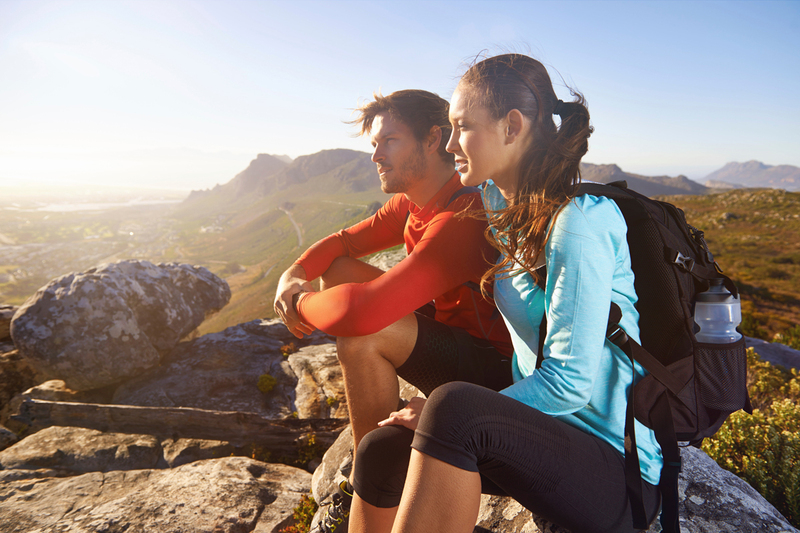 Altitude sickness is not pretty so be sure to take your time and stop for breaks if you need them. The trail has switchbacks and stone steps (rip-rap) with steep inclines, loose rock and some netting in place to control erosion. But man, is it pretty. There’s an abundance of pine trees and wildlife to take photos of, if you’re into that kind of thing (and we all know you are). There’s also a well-marked trail that leads to a cave at the end. The views are expansive and worthy of more than a handful of photos. No missteps allowed in Black Canyon. Photo courtesy of the National Park Service. Goldstrike Canyon has a collection of Nevada’s 300 geothermal hot springs. Unfortunately, not all of them are still filled with steamy hot water. Damn you, global warming. The rock formations can be dangerous, and trying to get into Goldstrike by boat is tricky because it’s so narrow. 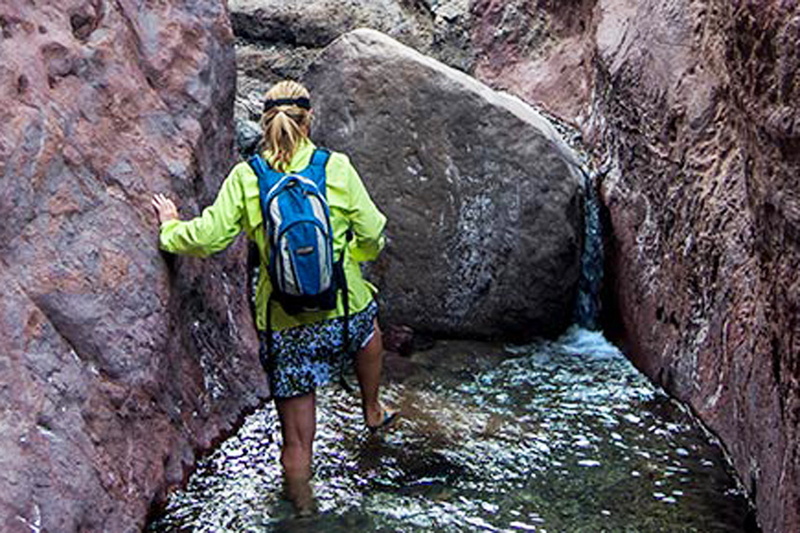 If you’re not one to shy away from a little cardio challenge (if you’re a hiker, chances are that doesn’t scare you away), these springs also can be reached by a 2.5-hour hike from U.S. 93. Along the trail, hikers will use the eight affixed ropes in order to scale rock walls and boulders. That’s right, if you can’t climb a rope, there are plenty of other things to do around Lake Mead. I don’t know about you, but I’m having a flashback to middle-school gym class. The ropes require a fair bit of strength, especially if you’re on your way back up and your shoes are wet. It may be a good time to tell you to bring an extra set of shoes, just in case. 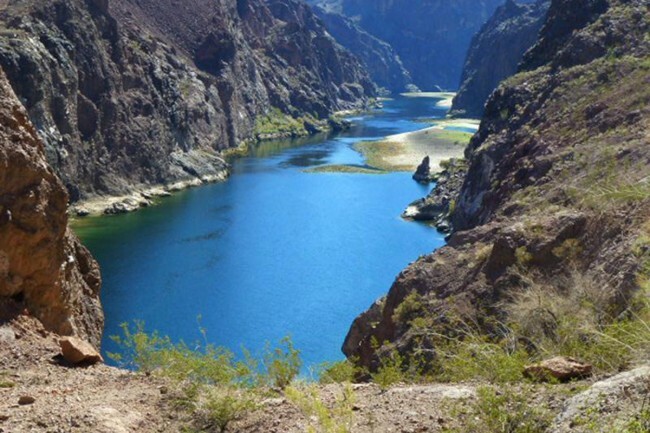 If you want a little more of a water adventure, you could also kayak down Black Canyon Water Trail, the first nationally designated water trail in the Southwestern United States. It’s a great way to see desert wildlife. Looks easy enough, right? Photo courtesy of the National Park Service. This is your chance to squeeze through slot canyons à la “127 Hours.” Just kidding, but it’s probably not a bad idea to hike with a pocket knife, just in case. A little downstream from Ringbolt Rapids, the canyon walls are only about 6 to 9 feet apart with multiple streams and pools of water. Claustrophobia sufferers listen up, the canyon walls are pretty narrow and that may make the experience terrifying for you but way cooler for others, so don’t say we didn’t warn you. This is probably also a good time to tell you that you’re going to have to climb a 20-foot ladder to get to the best spring, so we hope you’re also not afraid of heights. 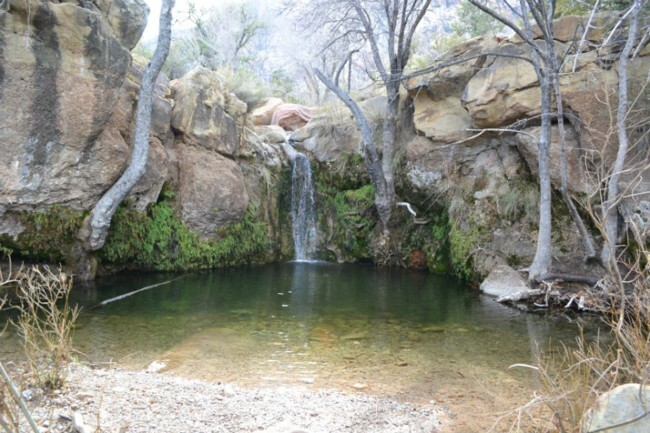 The surrounding area of White Rock Canyon is full of volcanic rock and pretty lush foliage with around 30 gallons of water pouring out of the source every minute at a piping 111 degrees Fahrenheit. If you’ve ever wanted to hike up a waterfall near the Colorado River, you’re going to love this route. 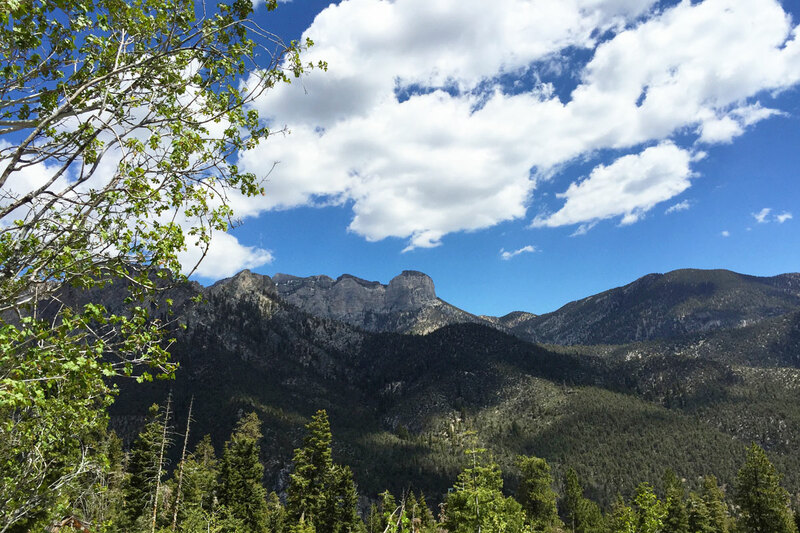 For more natural wonders near Vegas, click here.